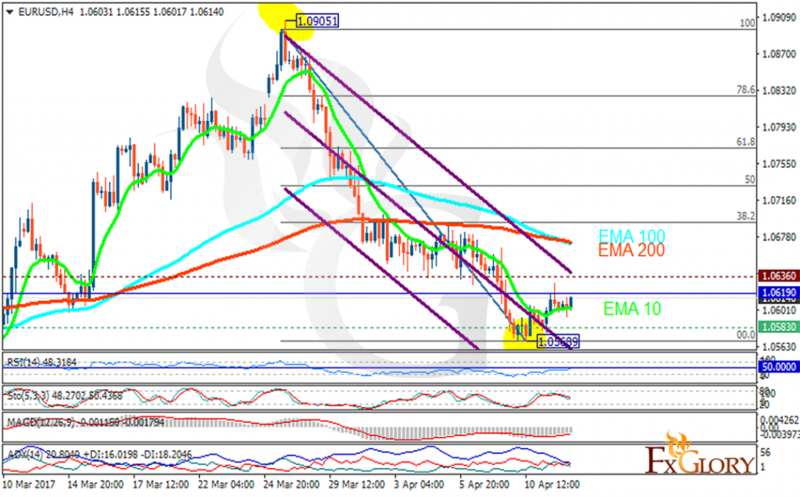 It seems that EURUSD has started its bullish trend recovering from the previous decline. The support rests at 1.05830 with resistance at 1.06360 which the weekly pivot point at 1.06190 is located in between the lines. The EMA of 10 is moving horizontally below the EMA of 100 and the EMA of 200. The RSI is rising towards the 50 level, the Stochastic is showing downward momentum and the MACD indicator is in negative territory. The ADX is not showing any clear signals. Long positions are recommended targeting 1.065.